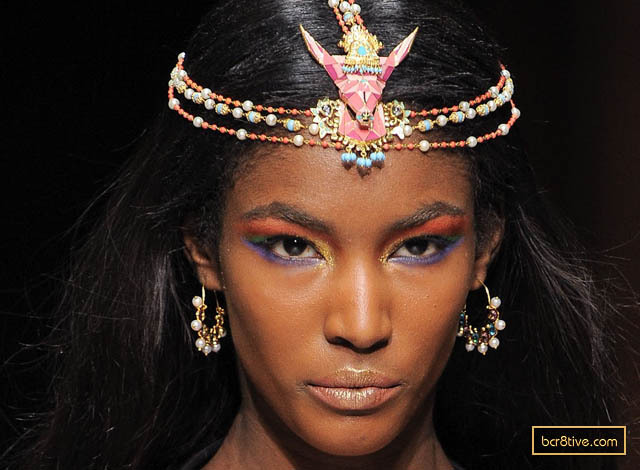 Manish Arora went back to his roots, paying tribute to India while creatively reinterpreting classical Indian fashions, for his Spring Summer 2013 collection. 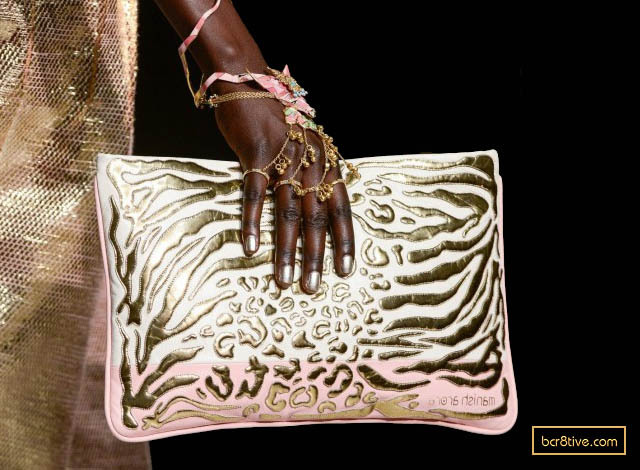 Shimmering elements of gold are an integral part of the collection and built into the textiles, textures, patterns and jewelry. 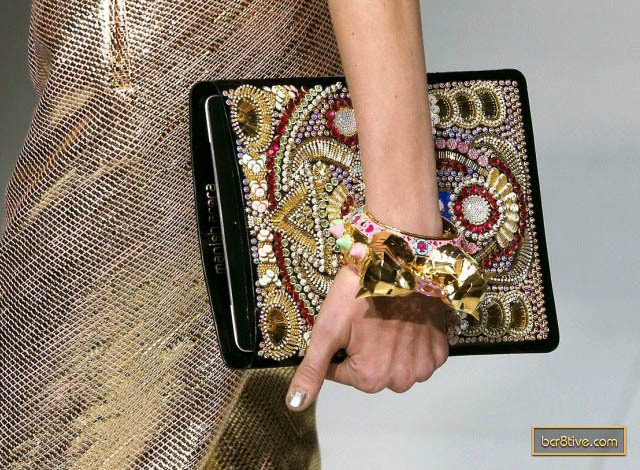 There is gold silk, gold sequins, appliques, embroidery, beads and studs. 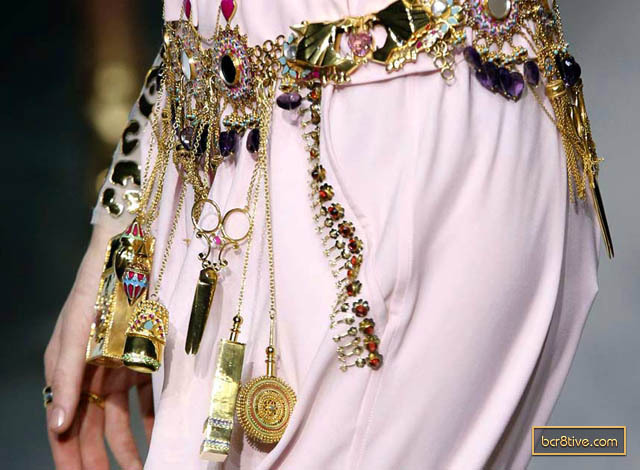 There is even a layer dress made of gold woven chains. 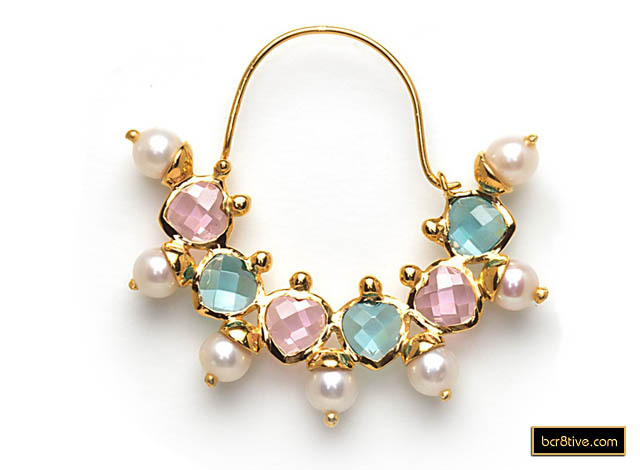 This collection features the dominant gold paired with a rainbow of bright pastel colors in pinks, peach, lilac, a light aqua blue, white and black. 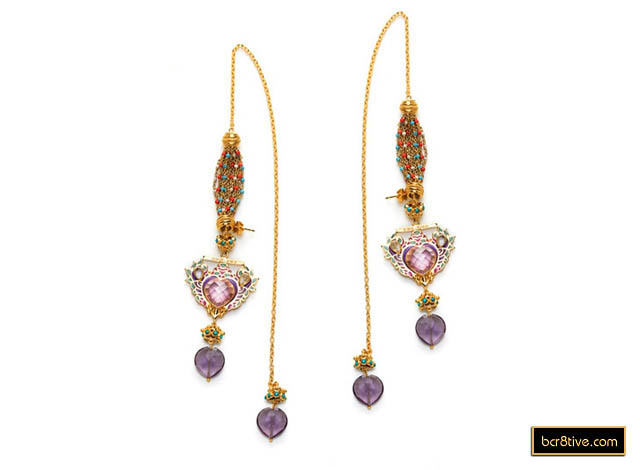 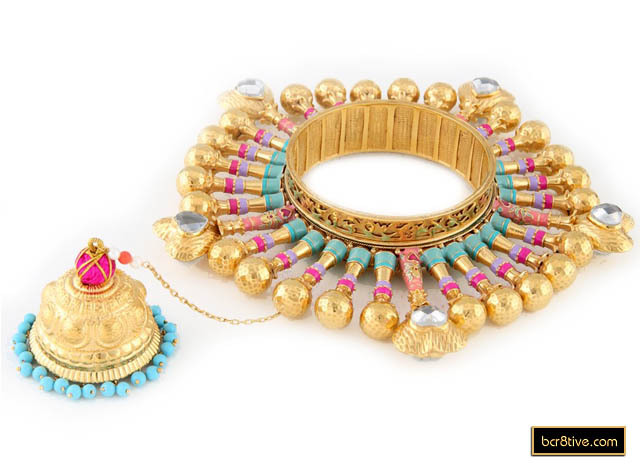 Indian jewelry provides a window into ancient Indian history. 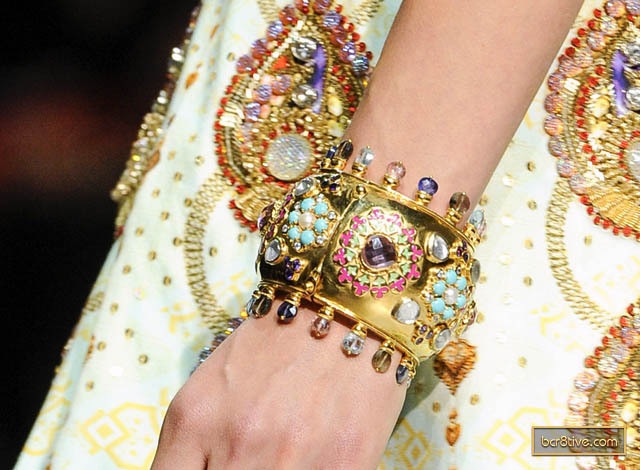 The designs on the fabrics are design elements of jewelry. 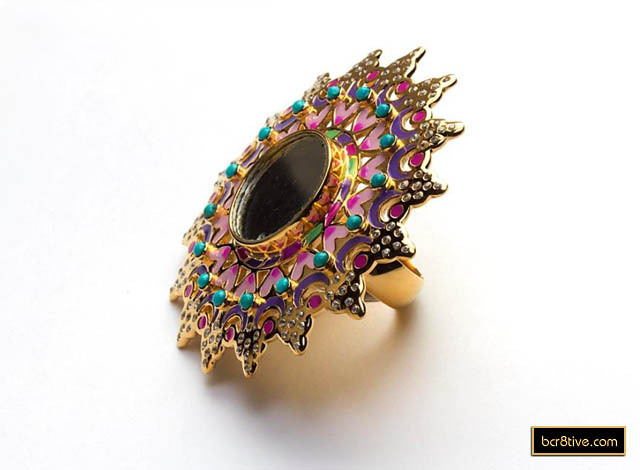 Most notably, this highly artistic collection includes the addition of a remarkably creative, custom collection of jewelry designed in collaboration with Amrapalli. 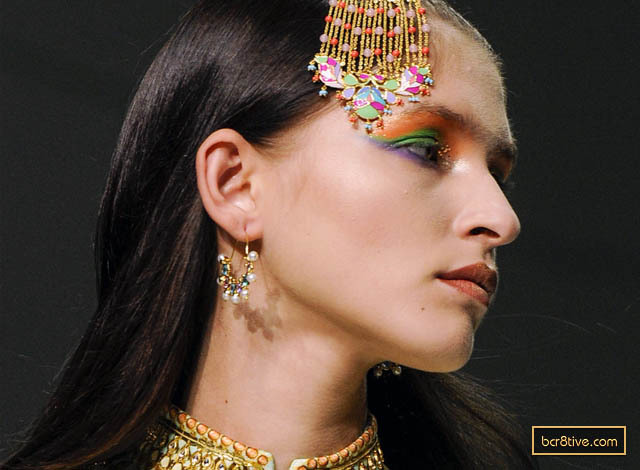 Manish Arora plays off of the same classic themes with traditional Indian jewelry styles – including tribal elements such as maang tikka, kashmiri jhumka, haath phool, hair chotli, ear cuffs and ornamental wedding style head pieces. 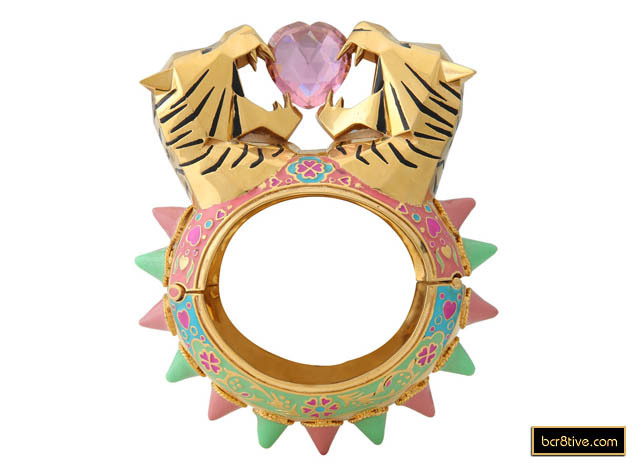 He incorporates totem animals; a gazelle, a tiger and panther; but with a go very big or go home addition of edgy contemporary influence. 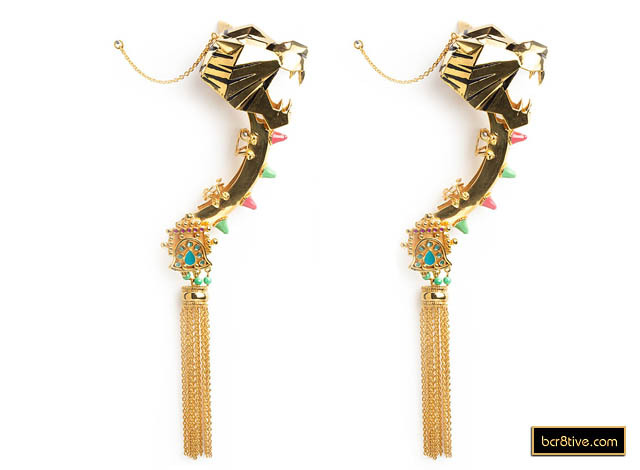 The more recent Chandelier earrings made their mark on the costume jewelry market and they have their roots in Indian heritage. 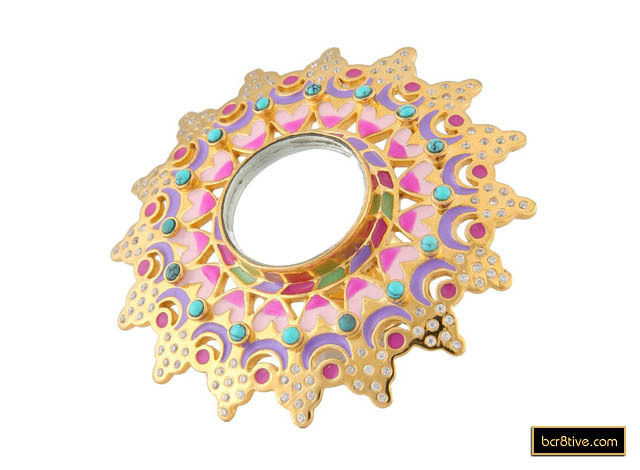 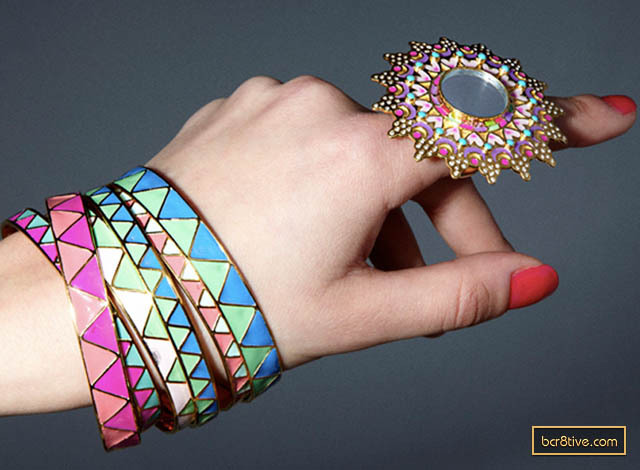 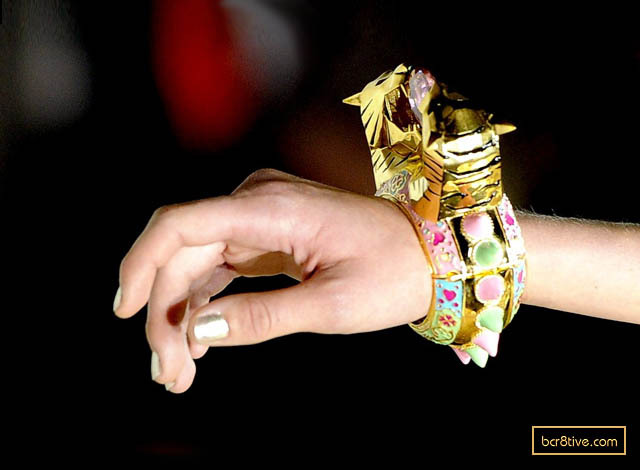 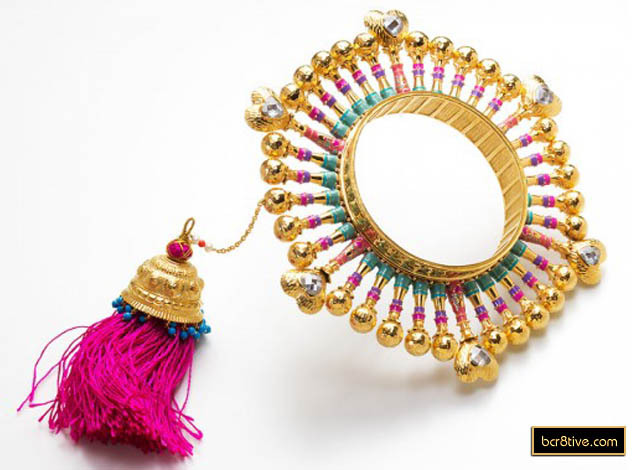 Manish turns the Indian tradition of heavy jewelry on its head with a big three-finger, enameled mirror ring, an array of extra large cuffs – decorated with pastel colored enamel, studs, sharp-edged animal heads, pieces adorned with Jumkha, gemstones, crystals and beads. 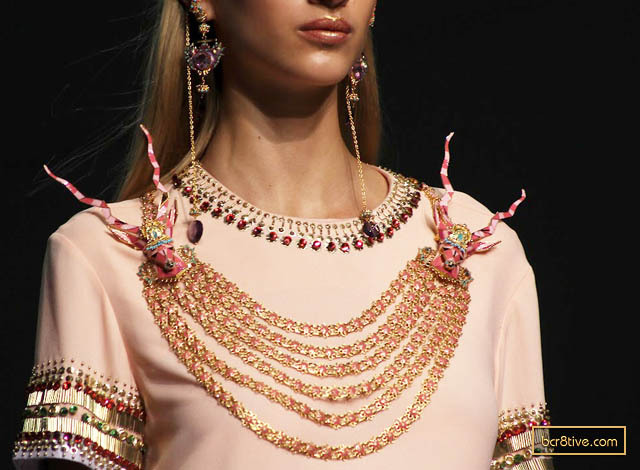 There is a pink gazelle haath phool (5 ring hand harness), a pink enameled gazelle necklace, strung with 6 golden chains that are embellished with pink enamel flowers, amazing ear cuffs, and more! 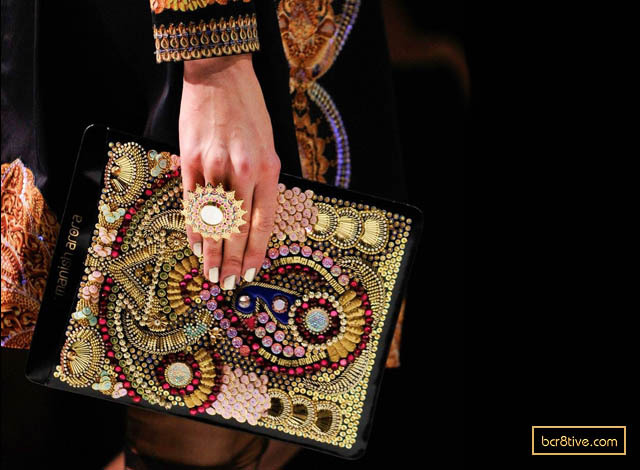 And if all of the jewelry isn’t enough, the elaborate bead embroidery purse looks to me, to be a coveted collectors item! 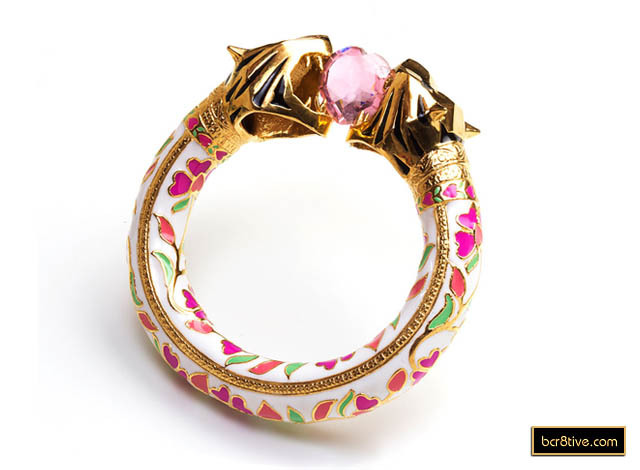 It’s utterly gorgeous! 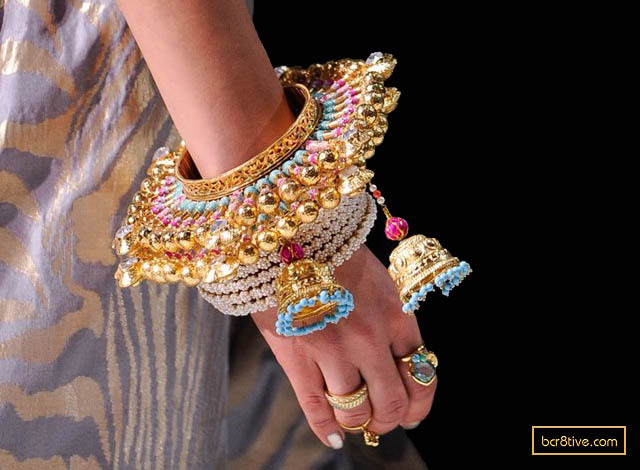 I’ve always been intrigued by ethnic jewelry, and Indian jewelry for some time and I’m excited to see Manish Arora bringing his unique vision to the jewelry arena. 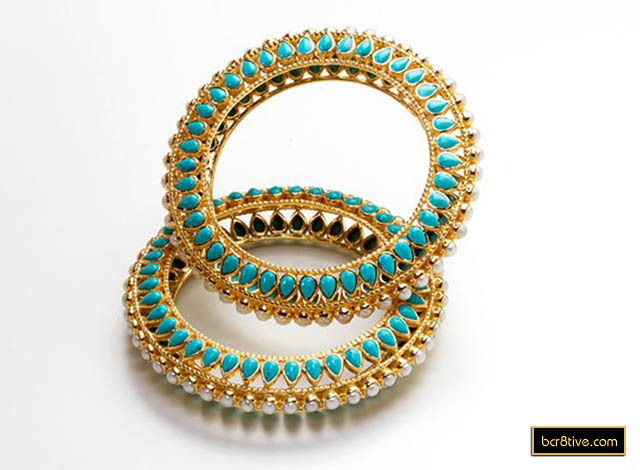 The pieces are also quite affordable and you can find them here or from Amrapalli. 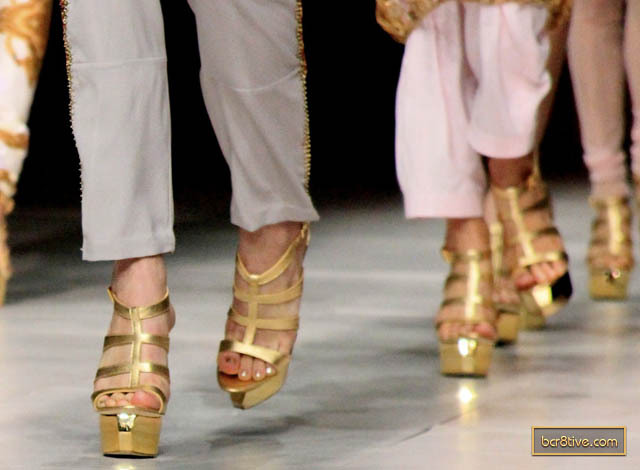 I think they’re fashionable and fun!